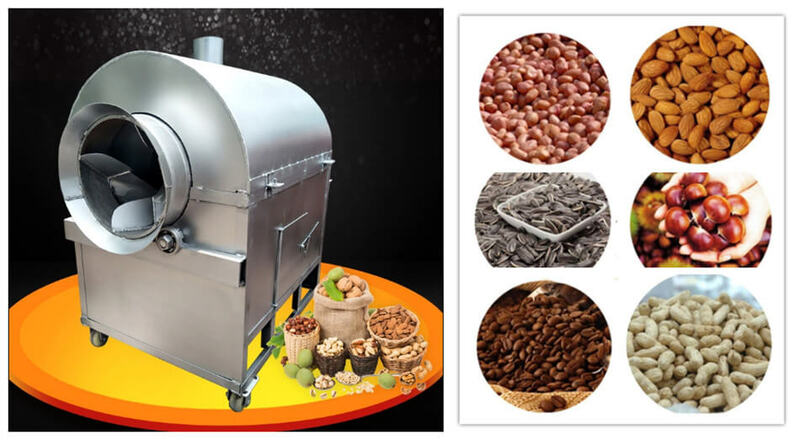 This small size peanut roasting machine is suitable for roasting all kinds of seeds, nuts, Chinese medicinal herb and spices, such as coffee beans, chestnut, peanut, melon seeds, walnut, sesame, soya bean, hazel, pine nuts, etc. 1. Small size makes it cover little space and easy to move. 2. Geared with four wheels, this small size peanut roasting machine is flexible and easy to move anywhere. 3. 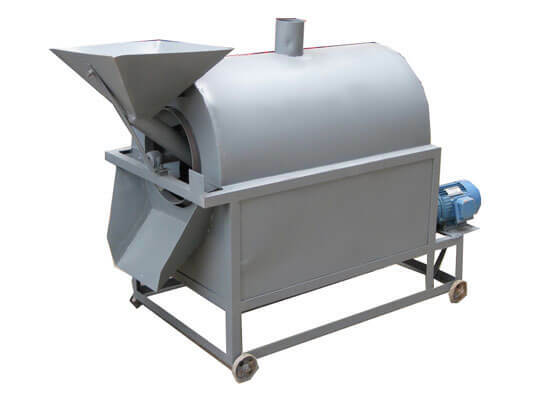 The small size nut roaster ensures a uniform heating of roasted nuts. 4. No pollution, little noise, and energy-saving. 5. Widely used in small shops and nut processing plants. 1. Less carbon emission has become the main trend for any industry, no exception of nut roasting industry. 2. The standard of roasted nuts quality is always improving which requires the nut roasting machine is of an accurate temperature control. 3. In general, the nut roasting machine is becoming more intelligent, energy-saving, time-saving, easy operation and environmental protection. 2. For marrons glaces, you’d better use free sand with dia of 3-4 cm. 3. Cleaning. Wash chestnuts and free sand and dry them for about half a day. 4. Pre-heat. Put the sand in the roasting machine and heat the roaster to 50℃ and then add fresh chestnuts into the small roasting machine. The proportion of chestnut and sand is 1：2. 5. Add sugar. Add syrup to almost mature chestnuts. The proportion is about 1：60.